As if parenting weren’t intense enough, parenting a gifted child provides you with a roller coaster of emotions. 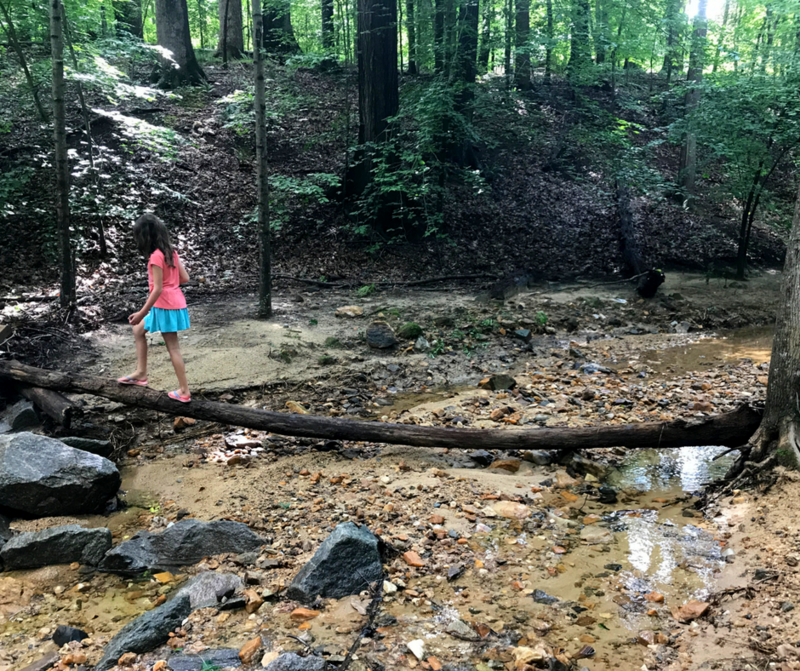 From elation to sorrow and everything in between, blogger and homeschool mom Renee shares her story of finding great peace. As a parent of a gifted child, I can assure you that I’ve watched emotional intensity take my child from 0 to 60 in 2.2 seconds. He can go from a quite neutral emotion to an explosive one faster than my mind can process the transition. And, while his emotional intensity has played a large part in my parenting experience I want to discuss the other side of the experience. That is, the emotions that a parent experiences while parenting gifted. I understand that every parenting experience is different and emotions are wrapped up in everything we do and experience. 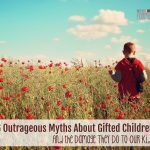 But, throughout the discovery, research, and acceptance of what giftedness means, rarely, if ever, is the emotional experience of the parent discussed. Which is most likely why I was so unprepared for the emotional roller coaster I’ve experienced while parenting gifted. You see, no one decides to parent a gifted child. It’s entirely unexpected. Why? Because there are no guarantees. Oh, we can want smart kids. We can imagine working with our child to foster good study habits and note-taking skills. But, we can’t really decide whether or not our child will truly be gifted. And, knowing what gifted looks like from all sides of the experience, one wonders why anyone would want that for their child. Sure, we want them to be smart. But, gifted? Just think of the stereotypes. Just imagine what it’s like to hear… They say there’s a fine line between genius and madness. We think of the historical geniuses, Mozart, Van Gogh, Beethoven, and others and we just know, they experienced both, genius, and madness, and were well-known for both. So why then, would a parent want that for their child? 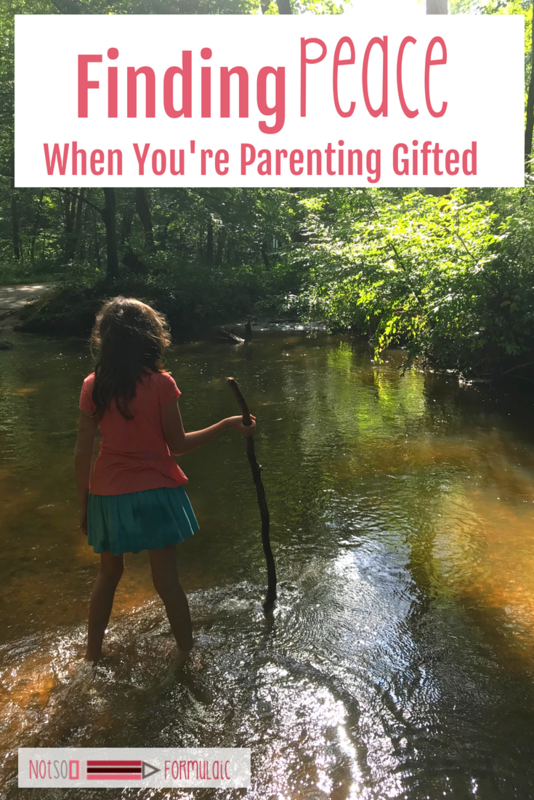 So, to say that I was surprised by the emotional turmoil that comes with parenting gifted is really an understatement. That’s not to say that I don’t love my child, or that I don’t marvel at his abilities. But, from the very first moment that I began to wonder at his unique abilities, I also was experiencing something else. I wasn’t prepared for it. I didn’t fully comprehend it, and maybe, I still don’t. But I regularly experience fear, worry, and sorrow. I don’t want you to think that there are only negative emotions. There are some amazingly wonderful emotions to experience. And, I will discuss those as well. When you begin to experience your child’s gifted abilities it’s a marvelous emotional experience. You marvel, literally marvel, at how they absorb information. You sit in wonder as they display abilities that you just know doesn’t fit on a typical learning curve. I remember when my 2 ½ years old began to teach himself how to read. I couldn’t understand, at the time, how he could know how to do that. I didn’t understand how he could make the neural connections needed at that young age to comprehend the sounds letters make and consistently put those sounds into cohesive patterns to form words, at that age. And while I was in awe of his abilities, I was also quite lost about what to do about it. So, I just kept feeding him more information. There are many quite enjoyable moments when you discover the amazing things your child can do. It was quite enjoyable watching my neighbor’s reaction to my three-year-old writing cursive words in sidewalk chalk on her driveway. I take great joy in listening to him play the piano. It’s joyous to watch him take a very difficult piece that most take years to learn and see him master it within a few months. Even, his classically trained teacher is amazed by his abilities. And, I always find great joy in his extensive memory of things. There is great joy that comes in parenting the gifted. As a child grows past, quite quickly, what’s expected of them as an infant, toddler, and preschooler and is quickly developing skills in more involved studies it’s quite easy for worry to set in. A parent will worry about what educational path to embark upon. Moms will worry that the school system won’t recognize what she does as a parent. You’ll worry that you aren’t equipped enough to guide your own child along this road of gifted education. Worse still is the worry about whether your child will develop those, madness tendencies, that seems to be so common among gifted kids. And as they age, you’ll start noticing more and more moments of emotional intensity and be quite unprepared for how to handle such moments. Which only leads to more worry, about their childhood, and about their future. Worry, I’m sorry to say, is a big, and never-ending emotional journey for parenting gifted. You’ll worry about whether your child will make friends with other like-minded children. A mom will worry that they’ll be ostracized by typical learners. Parents worry about what to do when they’ve exhausted learning the traditional levels of learning and whether or not they have to start college during middle school. You’ll worry about whether or not they’ll be able to manage the working environment found in a typical workplace. If your child also is 2e (twice-exceptional) you’ll worry about providing the right kind of therapy. 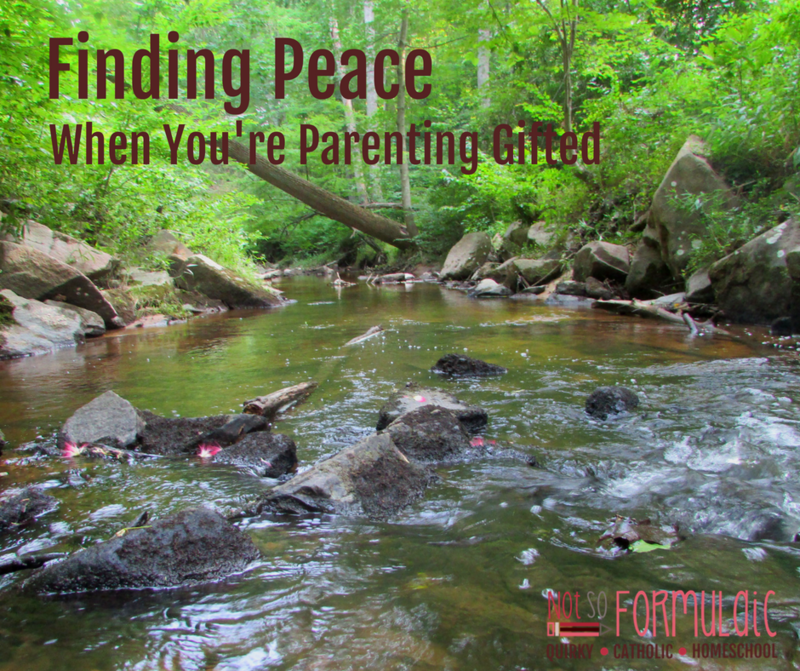 Honestly, worrying is an integral part of parenting gifted. The ones mentioned above are just a few of the areas where you may experience worry. If you are a parent to a gifted child or suspect that you are, ready or not, fear will walk closely next to worry. I remember the day my son learned the multiplication table. I sat there watching my 4-year-old son learn how to multiply in about 1 hour. Maybe you are thinking… why was she even attempting to teach him multiplication at age FOUR? I was asking myself that very same question. But, by then he had fully learned to count into the millions, and had learned addition facts, and subtraction facts, and was well able to demonstrate an understanding of those facts. So, the next step was to teach him how to multiply. He figured out the pattern quickly and by the time I got to 3×2 he answered me by saying, “Six.” And on it went until we got to 10×10 and he said “One Hundred.” But, he wasn’t just saying the table. He understood conceptually what was happening. I know this because he began organizing his toys in groupings of 4, or 7 or 9, then telling me totals for each grouping. You see, he NEEDED to learn the next step in math, and had been waiting for me to teach it to him. But, I had been holding him back because I hadn’t thought he was ready. I wish I could say that I used that moment as a springboard to help him develop his mathematical skills further. But, sadly, I did not. Instead, I was afraid. I was fearful of what such ability meant. Where could we go next with his learning if he learned and mastered multiplication at age 4? I couldn’t possibly fathom it. So, I held off teaching him other concepts. I let my fear stand in his way. Knowing what I know now, I wouldn’t do that again. Rather, I would continue to feed him more, and more, and more math until he stopped wanting more. I want you to know that I don’t want to write about this. I want to pretend that there is no sorrow associated with parenting gifted. But, I’d be doing you a disservice if I pretended that it’s not there. 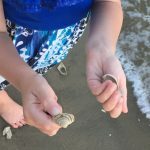 Looking back from the perspective of a parent now parenting a 14 y.o. gifted child, I realize sorrow has been sitting in my heart beside of fear and worry. Often, this sorrow comes when I see differences between who he is when compared to other children of a similar age. On the one hand, I know that I shouldn’t compare. On the other hand, it’s hard not to when the differences are so profound. Sorrow can appear when you realize that he’s playing in a group of kids and they are being silly, goofy, and doing what is natural for a kid while your child is playing in an entirely tgdifferent way. Maybe they are swinging on a swing with laughter and excitement and he’s watching the top of the swing and counting the time it takes for the pendulum to swing back to the other side. And in this you notice, he’s not really playing with the other kids so much as he’s in the presence of the other kids, but no one really notices him. Perhaps, it’s when you see your daughter trying to engage the other girls in conversation about whether or not the universe is expanding, and they ignore her or start talking about something they saw on TV. Maybe it’s when you think about your child’s future and you consider the world’s expectations of normal and you just know that your child won’t fit into those normal parameters. While it’s not wrong to feel sorrow for what might have been, it’s important to celebrate the child that your child IS and help them to develop whatever skills they need to cope in a society that may not understand them. I didn’t know back when he was a baby that there is a world that is cruel to gifted individuals. I didn’t and still don’t understand why they feel the need to be cruel to a child who only has amazing things to offer. Yet, year after year, month after month, I have watched as people, sometimes well-intentioned people, hurt my child. Let’s face it. Being a gifted learner means you are different. Sometimes, it’s a matter of a child being so curious about the world that they would prefer to read an encyclopedia rather than Harry Potter. But, then when she’s in the middle of a peer group and they are talking about muggles, and she doesn’t understand what they are discussing so she tells them about the problem of smuggling illegal drugs into America and how that’s causing a huge drug dependent population of people who end up overdosing and so many are dying… yeah, there’s that look. You know the one. The one that hurts your heart. The, what is she talking about, look. The, is she completely insane, look. The, your not one of us, look. Then there are the adults who should know better but don’t. You stand and you watch as they separate your child from the rest of the group, whether intentional or not. They do it because they don’t know what to do with him. And, they don’t want the other kids to feel bad cause they can’t do what he can do. You watch, with sorrow, the light go out in your child’s eyes as they get separated to do some task that is too easy, or is just busy work. And, you also know that your kid will either explode with emotionally charged frustration, or they will shrink back and become invisible. Sadly, neither scenario is ideal. And as a mom… your heart breaks. Oh sure, you can try to step in. You can try to say, he’s got an idea, won’t you listen. But, they don’t see what you see, those other parents. And they dismiss him, or her. And you wait, watching for signs of an emotional explosion so you can intervene early, or signs that they are fading into the background. There are other people, however, who find what your child can do to be fascinating. In fact, they find it incredulous. Notice that I said, incredulous rather than incredible. You see they can’t quite believe that your kid could really know all that they know. And so, because they are incredulous, they quiz your kid. They ask all kinds of really tough questions just to see if they really do know the answers or if they are just repeating a list of facts. At first, you find this to be exciting. You see it as a way for your child to engage in conversation with someone who wants to talk to them and is giving them a chance to share knowledge. But, it’s not long before you see that what seemed like an innocent exchange of facts, is really something sinister. There is that underlying current of incredulity that leaves a bitter taste in your mouth as you realize they are probably using your child to get a kick out of how amazing that ability is. It’s not a genuine desire to get to know your daughter. It’s not even a real conversation they are having with her. It’s more like a sideshow act that they find humorous. And your mom’s heart breaks. And you might find yourself angry, really, really angry at adults who would do that to a child. But just as you teach your child to navigate the society in which they live, you can’t allow society to treat your child with disrespect. So you step in and ask them to stop quizzing your child. That’s where the confusion comes in. You are confused by the swelling of so many emotions in your own heart. From sorrow, to worry, to fear, to anger all playing a major role in your relationship with other people. As well as, your relationship with your child. Then there are the whisperers. You know the ones. Those other parents, possibly your relatives, who whisper about your kid, and you, behind your back. You know they think you are completely nuts for letting them read The Art of War at age 8. You hear them saying, what’s wrong with him? when he’s having an emotional meltdown. And you, mom, begin to feel like you are a bad parent. Thus, the emotions of parenting gifted are incredibly hard. As a parent of a gifted child, it’s your duty to protect them. It’s your role to advocate for their needs. It’s up to you to ensure that they are given the kind of mental stimulation they need to grow and develop their talents. It’s not, however, easy. There will be people who stand in your way. There will be people who will argue with you about what your child does and doesn’t need. There will be people who will flat out deny that your child has the abilities that you know they do have. We live in a society that would rather dumb down than build up others. And because of that, many will work to discourage you. But, moms, dads, we cannot allow what others think to stand in the way of offering our child the support they need. It’s not easy, this parenting gifted. There may be times when you need to reach out to get counseling for yourself. You need to have open and honest communication with your spouse about your emotions as well as your child’s needs. 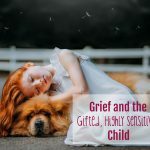 And while it’s a roller coaster of emotions, having a child with gifted abilities can also be a joyous, profound blessing, that will teach you more about yourself than you could have ever experienced otherwise. 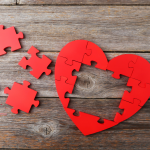 You’ll learn, grow, and develop your own levels of emotional stability along the way, by allowing yourself to experience each and every emotion that comes along. Renée Brown loves being a wife, and a mom and she loves writing. 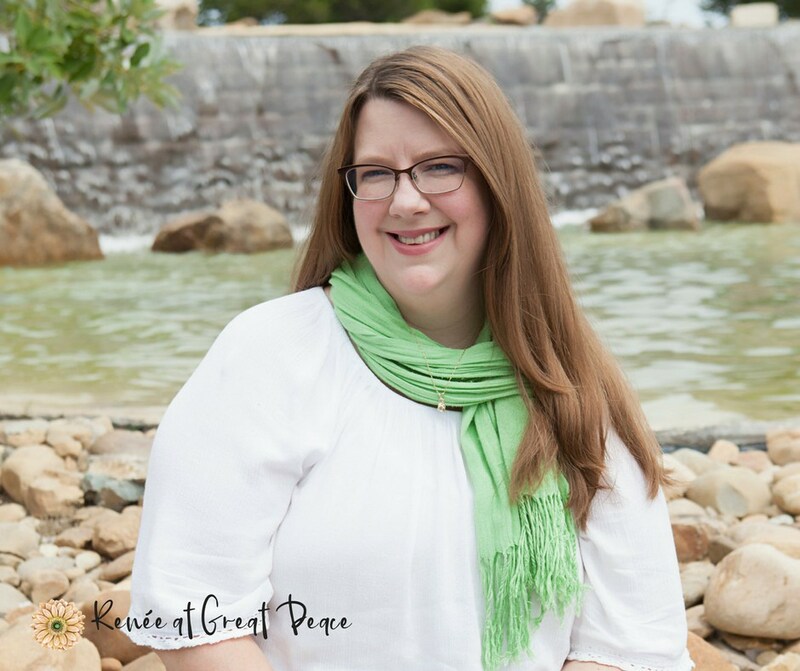 She combines those things in her blog, Renée at Great Peace, where she helps moms find peace in their roles of life, family, and homeschooling. She writes about home education, gifted learners, and a Christian family lifestyle. She also works from home as a virtual assistant helping small businesses and other bloggers with their online needs. Connect with Renee on Facebook, Instagram, and Twitter. Such a well-written description of the many emotions parents of gifted children experience. I completely agree. It is so important for parents to recognize the emotional struggle and to support each other. As a psychologist, I see this so often, and as a parent, I certainly experienced many of these emotions. 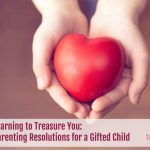 Not to hijack this, but my most recent post was related to this similar topic: https://giftedchallenges.blogspot.com/2018/07/welcome-to-gifted-parenting-checklist.html. Thanks for writing about this. We need more voices out there recognizing the parents’ experience. No hijacking perceived, Dr. Post! Thank you for stopping by and sharing your wisdom. Thank you for this post, and it certainly resonates with what I am experiencing as a mother.